Holocaust Memorial Day 2018 will be marked in Christchurch at the site where a Holocaust memorial was unveiled in 2015. An event will be held to mark the anniversary of the unveiling of the Holocaust Memorial in Christchurch. It will take place on 29 January at 10am at the site on Christchurch Quay. The programme will include prayers by the Vicar of Christchurch, The Reverend Canon Charles Stewart and Rabbi Jesner from the Bournemouth Hebrew Congregation as well as the laying of a wreath by the Mayor of Christchurch, Cllr Nick Geary, and local schoolchildren. All are welcome to join the event. 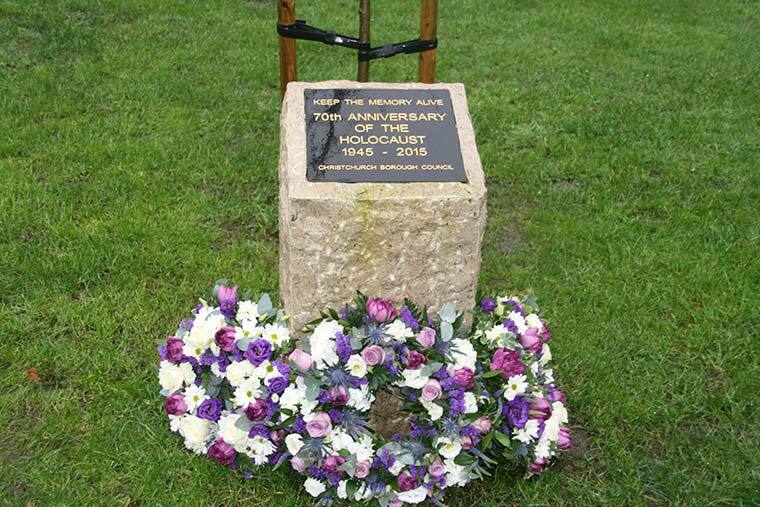 The Memorial at Christchurch Quay was unveiled in 2015 to mark the 70th anniversary of the Holocaust. The 2018 Holocaust Memorial Day has the theme ‘The power of words’, which will explore how language has been used in the past and in the present day to make an impact, whether good or bad. Building on the participation of the Jewish Community in previous years, this year’s event takes the opportunity to extend an invitation to others in the local community who may have been affected by, or experienced genocide.